Super Slots™ lets you spin on your very own set of virtual Las Vegas slot machines. 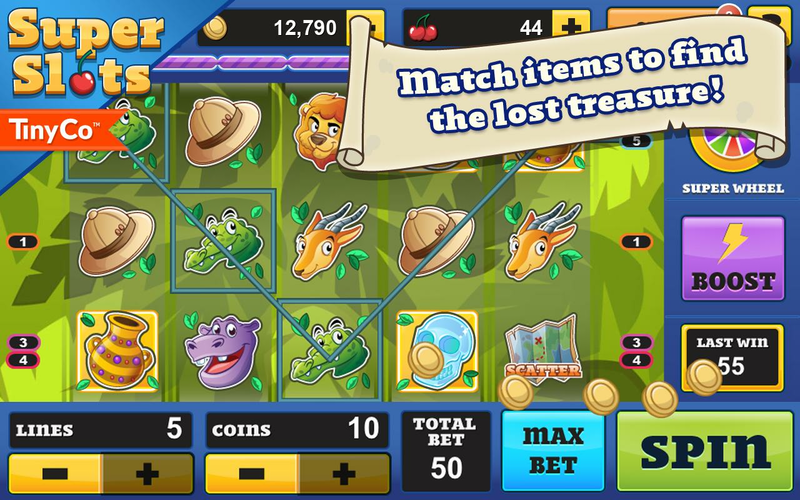 Help Lady Luck recover all the lost treasures in this rich and exciting slot machine game. Super slots is the perfect combination of Las Vegas style slot machine games and a mobile gaming experience. Best of all: Super Slots™ is free! Choose your adventure, your bets and your lines and play as long as your heart desires! 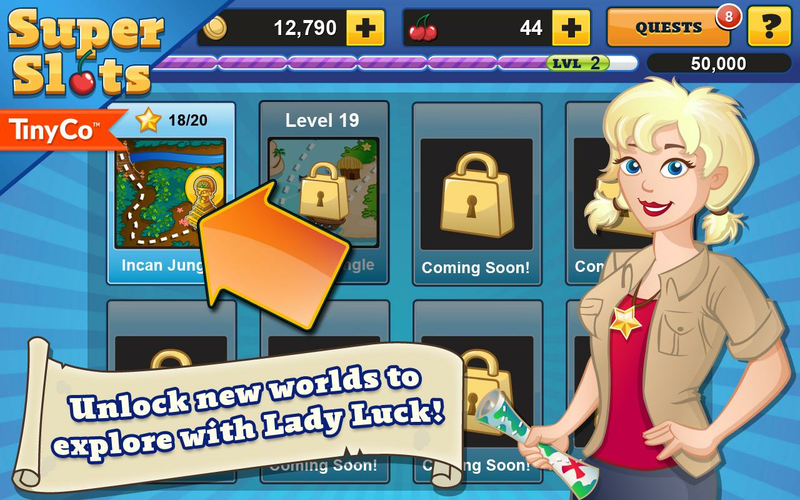 ★ Lady Luck is on your side: Complete Quests and find all the missing treasures! ★ Boosters let you win up to 10 times more on every spin! ★ Free Bonus Coins every few minutes! ★ Spin the Super Wheel for special prizes! 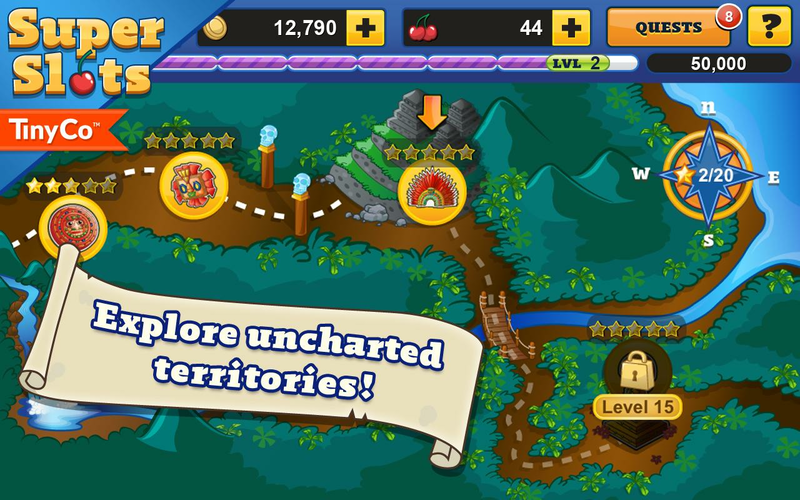 ★ 8 Amazing and unique Regions to explore: Take stroll through the Incan Jungle or fight Blackbeard for his Pirate treasure! Rate Super Slots™ 5 stars, and we’ll love you forever!